At Nature’s Fulvic, we are Fulvic Acid experts! Here we answer Frequently Asked Questions about Fulvic Acid – “Nature’s Miracle Molecule”. We have included for your review a sampling of published medical research projects conducted worldwide. Our Fulvic Acid Supplements & Creams include organic plant source minerals and healing clays that address a wide variety of ailments & symptoms – and can provide both immediate & long term relief. Click any topic to learn more about Fulvic Acid. Scientists have found that fulvic acid is the element that makes nutrients absorbable, which gives it the ability to make a dramatic impact on all kinds of diseases and health problems that afflict us today. They call it the elixir of life . . .
Fulvic acid is considered the healing miracle of the 21st century - often called the “missing link” or the “miracle molecule”. In addition to strengthening immunity, it defends against toxic substances, reduces inflammation & balances the body for optimal health. 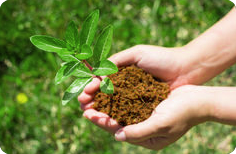 Fulvic Acid is part of the Humic Acid family, and can be found in extremely few sources. The absolute best fulvic acid comes from ancient deposits of lush plant matter that were buried and naturally composted over millions of years. The human body requires 63 minerals for optimal health. Yet most commercially grown foods we eat contain only 8 minerals - requiring the need for supplements. Fulvic Acid acts as a catalyst which makes the minerals more easily absorbed by the body. Fulvic Acid has been scientifically proven to assist in a wide variety of medical conditions including: Arthritis, Acid Reflux, Heartburn, Eczema, Shingles, IBS, Crohn's Disease, Ulcers, Muscle & Joint Aches & Pains, Rashes, Scrapes, Insect Bites, Wrinkles, . . . and much more. We feel taking Fulvic Acid, organic plant derived minerals and healing clay should be a part or your daily routine. We recommend 1 to 2 grams per day, depending on whether you are trying to correct a deficiency or medical problem . . .
Healing clay is a natural earthy material that has been used for medicinal purposes over centuries. It's healing qualities are due to its ability to bind toxins, due to the negative electrical charge of the clay particles, which binds & flushes poisons from the body.